[miningmx.com] – GUINEA’S electoral commission on Saturday declared President Alpha Conde winner of an October 11 election to give him a second five-year term, said Reuters. Conde gained 58% of almost 4 million votes cast, avoiding a runoff vote that several observers had said was possible. Opposition leader Cellou Dalein Diallo won 31%. He called for calm, but said he did not recognise the result and would ask his supporters to protest against fraud and rigging. 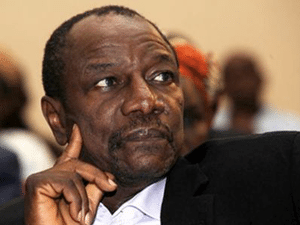 “The Constitutional Court still needs to render its verdict, but the National Electoral Commission proclaims President Alpha Conde winner in the first round,” commission head Bakary Fofana told a news conference.